Bella Hadid ''hysterically cried'' when she was booked to work for Dior in 2016, and didn't believe her agent when she was told about the exciting news. 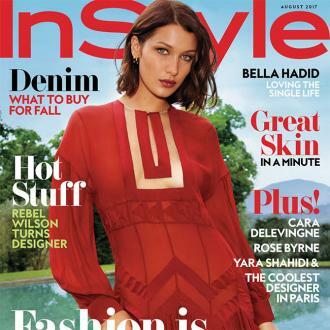 Bella Hadid ''hysterically cried'' when she was booked to work for Dior. The 20-year-old model was named the brand ambassador for Dior Beauty in May 2016, and the star has revealed the moment she heard the news she couldn't believe it and broke down in tears to her agent. Speaking about her first venture with the French fashion house, to InStyle magazine, the catwalk icon said: ''The first time I heard that I booked Dior, I was hysterically crying to my agent. And the fashion muse - who has also graced the runway for prestigious fashion houses including Victoria's Secret, Fendi and Marc Jacobs - has admitted when she is happy with her life she will eat a lot, and she is not fazed if she boasts a fuller frame because she is ''living'' and enjoying the moment. She added: ''When you're happy, you want to eat and experience and enjoy life. I'm there! And I'm eating, and I'm living! And I've gained a couple pounds, but I'm good. Bella is often spotted out and about with fellow model Kendall Jenner, whether it is on the runway or at a party together, and the brunette beauty has hailed the 'Keeping Up With the Kardashians' star as a ''significant human'' who she first became friends with on social media almost 10 years ago.